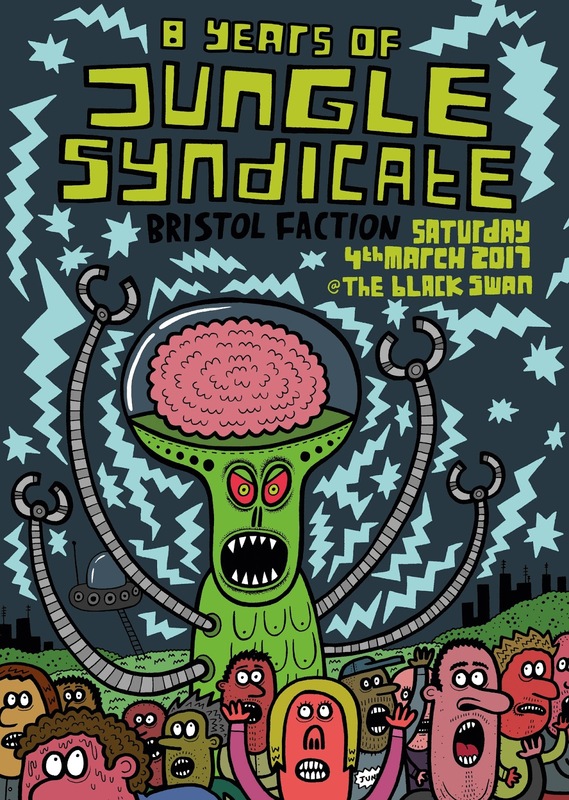 MxCx Blog: MxCx Interview#18 "Jungle Syndicate"
Jungle Syndicate is a collective of DJs, producers and promoters bringing a mix of amen infused drum and bass and deep dark jungle breakcore to ravers through our own productions, our mixes and our events; currently based in London, Bristol, Manchester, Cornwall and Devon. When did you start Jungle Syndicate(JS)? Please tell me how JS started. JS started in 2008 in London and spread to Bristol the following year. It started due to a love of all things amen break and the fact that we'd done smaller local nights previous to Js so it was almost a natural progression. How many people are working in JS? everyone DJ or artist? What is JS crew's musical roots? Our musical roots have always been in d'n'b as the core original crew have known each other for a long time and started going raving to d'n'b in Fabric (London) when we were only 15, this eventually lead to nights like Renegade Hardware and Therapy Sessions around 2004 which introduced us to heavier styles of d'n'b and the amen break. Also need to give a shout out to our friends who used to run a night called Braindrop which expanded our knowledge of the music we promote today. Please tell me the concept of JS. The concept is simple really, we just want to provide a night for people who share a passion for the same music as us, to provide a platform for artists old a new to spread the word of jungle/d'n'b and simply to expand the scene for everyone. JS has also started a label, why did you start label? This was another natural progression, we were meeting so many great artists through Js and of course some of us were making music of our own so wanted to create a platform to get the music out there and to release a smorgasbord of different d'n'b/jungle/breakcore styles and again in hope of expanding the scene and getting it out to more people. JS is based in Bristol, please tell us the music situation of Bristol. Bristol is famous for reggae and Trip Hop. Are there scenes of Breakcore and Jungle? 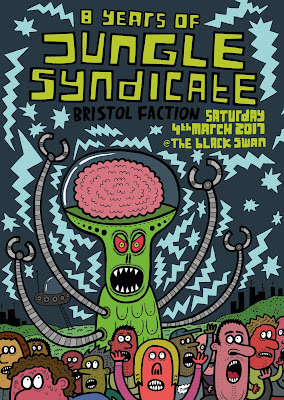 There's a massive love for breakcore and jungle in Bristol. It's the main reason a lot of our crew live here. However, there are less and less nights pushing these sounds. The love for this sound is still strong and we've had the pleasure of hosting legends such as Igorrr, Ruby My Dear, Ghost, MDS alongside artists from labels like Planet Mu, Kaometry and Mozyk. Why did you choose Murder Channel as a takeover this time? What do you want from us? Murder Channel is one the most iconic labels in breakcore for us. 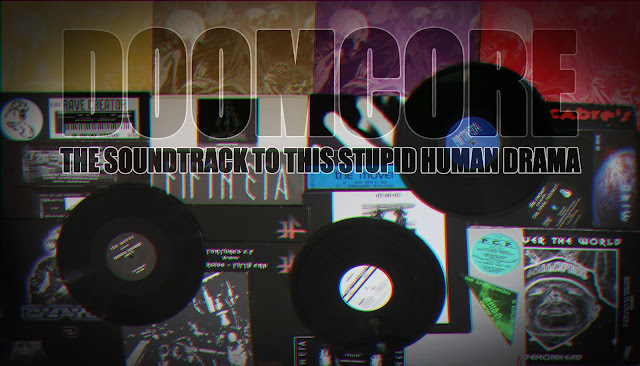 We want breakcore and lots of it :). It's a honor to have you over from Japan and include some legendary artists from across the world. Congratulations on 8th anniversary! What is the most important thing you gained in 8 years of activity? Staying true to the music you love. Over time many artists and promoters move away from the music they love to chase money...we see it all the time. We have a strong ethos of sticking true to the music we represent without any desire to turn a profit from our small events to our larger events over 8 years we still showcase the music we love.